I’ve been asked a lot over the years about commercial leases and how they actually work, so I thought I’d share some knowledge and experiences. One of the biggest challenges in growing your business is making the move from working at home into working from commercial premises. When the realisation hits that you have outgrown the home office either because of staff, image or the physical space simply doesn’t work for you anymore, the hurdles of a commercial lease can be overwhelming. The advantages are numerous, but the commitment to a long term lease, usually 3+ years, fit out and furniture, phone and internet contracts, bonds, bank guarantees and legal costs make the process daunting and full of risk. Then once you sign on the dotted line the rent and outgoings invoices keep coming month after month despite how well you are trading. 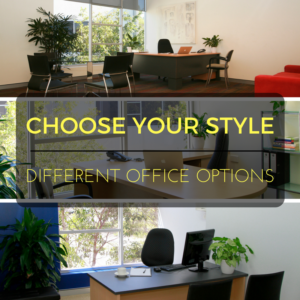 It’s no wonder that Serviced Offices and Coworking spaces are so popular around the world at the moment. With easy to enter and exit agreements, lower costs, professional environment and being surrounded by like minded people, a Serviced Office or Coworking desk will give you the professional premises without the costs and risk of a regular commercial lease. 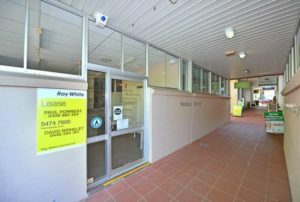 A bare bones commercial lease in Noosa is around $2,250 – $3,000 per month without receptionist and phone support, office equipment, kitchen and bathroom supplies and good coffee. Plus there are the set up costs such as fit out, furniture, signage and personal bank guarantees and bonds. A Serviced Office at Noosa Boardroom on a month to month agreement averages around $1,950 per month. If you want to learn more about our office space and how it may work for you, please feel free to call in to Noosa Boardroom for a chat and see for yourself.